Annual event, early in Fall semester. Information stations, food, prizes, music, fun. 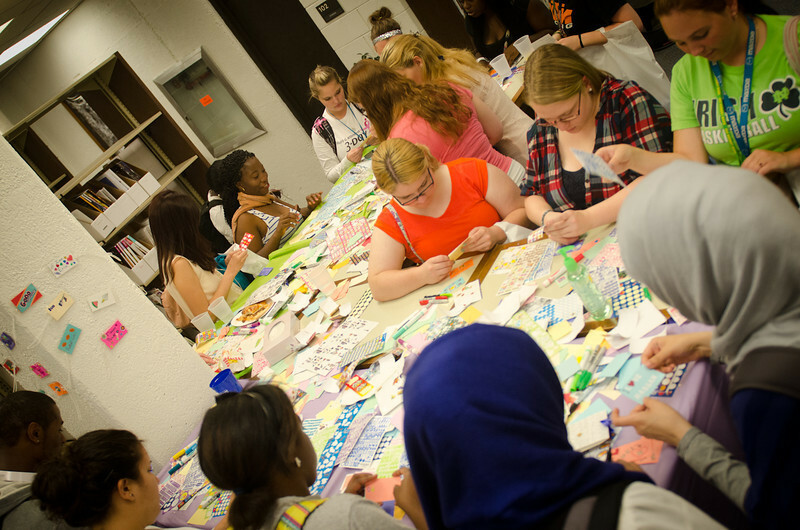 Entire library staff including student assistants, participate. We see more than 5,000 people between 10am and 3pm. 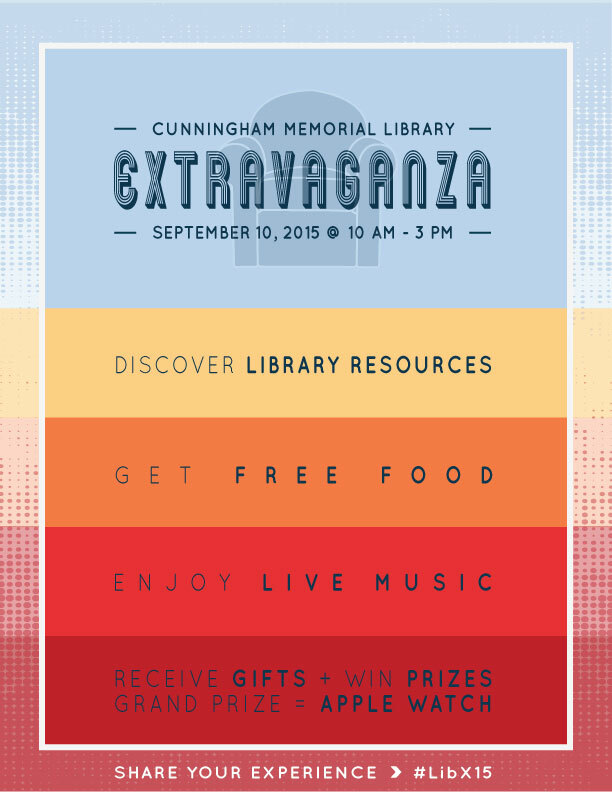 The 11th Library Extravaganza will be Thursday, September 12, 10am-3pm! Here is this year’s list of participants. As in past years, ISU students will need to get 10 stamps on their prize cards before they can turn them in. Remember, this event is NOT just for students/new students; everyone can come and learn and enjoy! 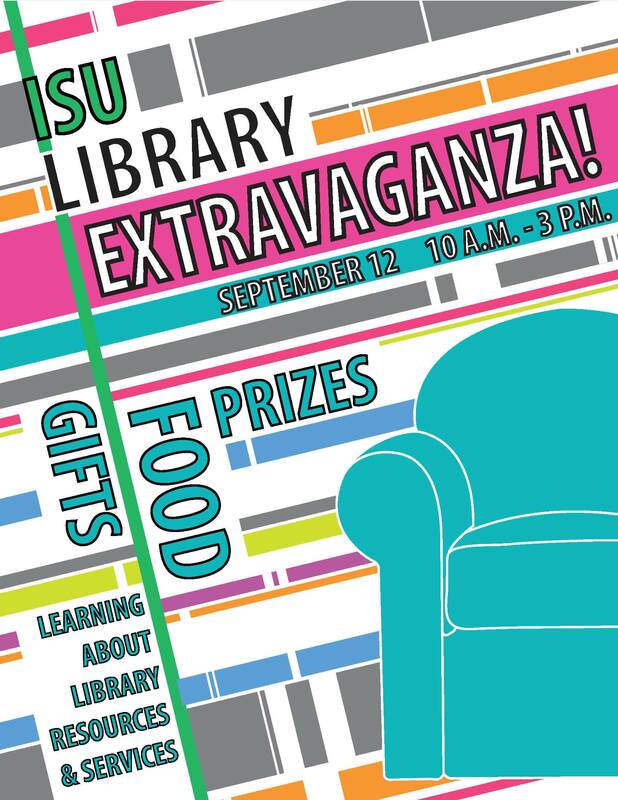 Faculty teaching distance learners are encouraged to invite their students to ‘attend’ this year’s Library Extravaganza by going to http://libguides.indstate.edu/DLextravaganza between Wednesday, Sept. 12 through Wednesday, Sept. 19. This year Distance Learning students can enter the prize contest to win either a Kodak Sport recorder or a Nook e-reader by reading LibGuides to discover basic Library information. Some short promos highlighting topics that will be covered by Reference/Instruction Librarians can be viewed now. During the actual Extravaganza on Wednesday, September 12, Marsha Miller, Distance Learning Librarian, will be tweeting at isulib, uploading videos to the LibGuide site, the Library’s YouTube site (http://www.youtube.com/user/isulibrary), blogging (https://isulibrary.wordpress.com) and more. These prizes are for students specifically registered as Distance Learning students (will verify for prize eligibility). 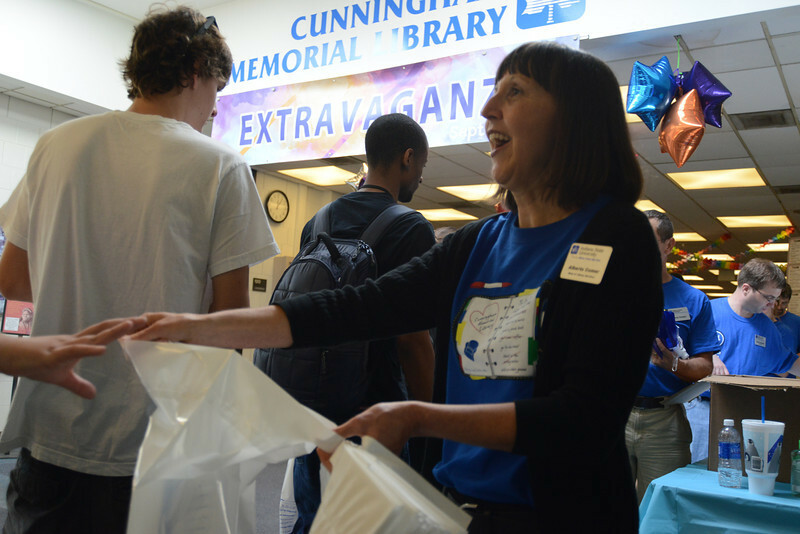 Students on campus are invited to attend the Extravaganza’s festivities in Cunningham Memorial Library on Wednesday, September 12, between 10 a.m. and 3 p.m. where learning opportunities and chances to win prizes will be available. 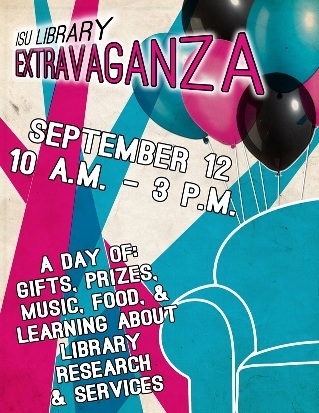 You and your students are invited to attend the Library’s Extravaganza on Wednesday, September 12, 10 a.m.-3 p.m. Please drop by, and encourage your students to come by as well, to learn about the new resources and services that the Library has to offer, as well as sample free pizza and soda. 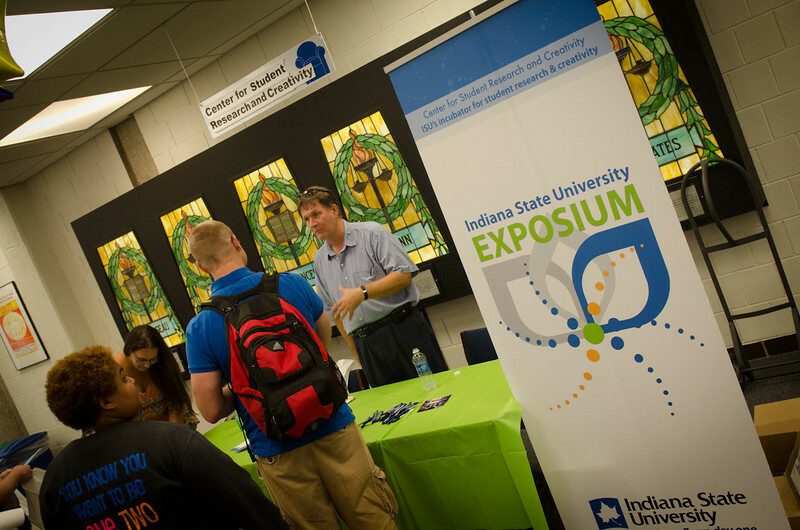 To be eligible for prizes, stop at 10 resource tables and have your Extravaganza card stamped. On Wednesday, September 12, 2012, the following library offices will be closed: University Archives, Special Collections, the Writing Center and the Administrative Offices. Reference Services and the Circulation Desk will be staffed. Here is a list of participants – ISU students will need 10 stamps on their prize cards before they can turn them in. Remember, this is NOT just for students/new students; everyone can come and learn and enjoy!